Long autobiographical pieces on her life in South Yorkshire and South London are followed by highly individual inspections of ‘abroad’. Some of her most brilliant writing is devoted to Japan exotically and erotically described here – so perfectly suited to the Carter pen. Domestically, Angela Carter uses her mordant wit and accurate eye to inspect England and Englishness as it manifested itself throughout the land. Than she turns to her own craft, and her extraordinarily wide-ranging book reviews are masterpieces. 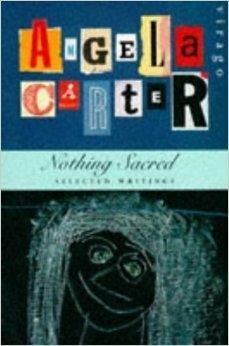 This collection shows Angela Carter as one of the funniest and most perceptive critics of our age, a maverick who didn’t miss a thing.